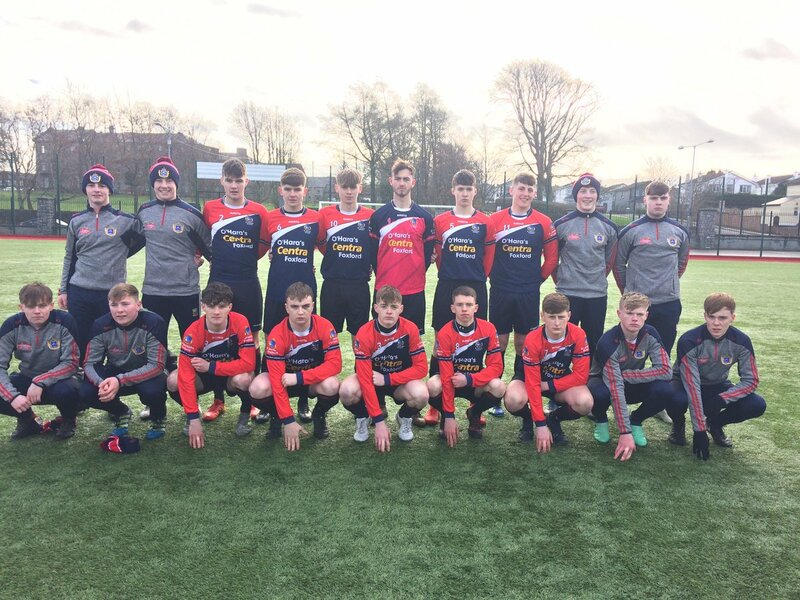 ST. JOSEPH’S SECONDARY SCHOOL, FOXFORD stunned the Ulster Champions Pobalscoil Ghaoth Dobhair following a late surge in Sligo Rovers yesterday afternoon (January 22). The Donegal side relinquished a 2-0 half time lead to go down 3-2 with some late drama in the West. The 2017 National Cup Champions were in formidable form entering this contest and their confident style of play was evident in the first forty-five. Jamie Doherty struck first with a powerful assault on Brian McMahon’s domain. The Gweedore sharp shooter was denied by the athleticism of the young Mayo shot-stopper as he palmed the initial strike away. The rebounding effort was picked up my Mark Mac Pháidin who had two attempts on goal but again McMahon pulled off two consecutive saves to keep the Ulster lads at bay. 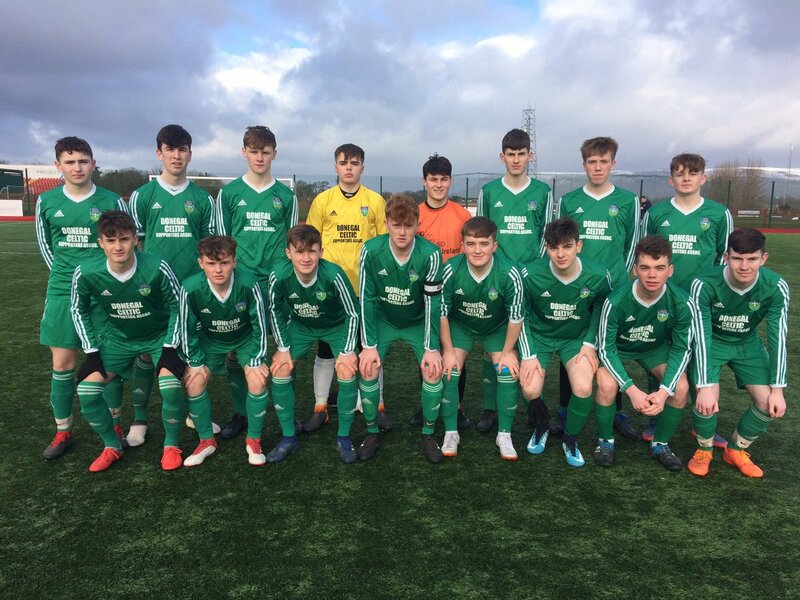 The opening goal eventually came five minutes from the interval as Pobalscoil Ghaoth Dobhair’s Mark Mac Pháidin thumped the ball past McMahon for a much deserved one goal lead. The momentum was with Ciaran McFaddan’s side and they capitalised two minutes later with some stylish play when Padraig ‘Dixie’ O’Fearraigh converted brilliantly after the initial shot from Cathal Gillespie was saved. St. Joseph’s composed themselves at the break and had a fantastic opportunity to score three minutes into the restart but Conor Flynn’s smacker was saved expertly by netminder Daithí Mac Roibeard. However the Donegal keeper was beaten on 55 minutes as Flynn popped up again to smash a rocket to the top corner giving them some chance of survival. Both keepers were busy throughout the game with the weather conditions deteriorating as the game progressed. As a result of these testing conditions, Foxford forced an equaliser with five minutes left. A surprised Mikey Lowther saw his long range effort spilled by Mac Roibeard on the line with a dramatic goal awarded to the Westerners. Extra time was looming as the clock ticked down, a really entertaining conclusion to a top class encounter. However the Saint’s had other ideas as Liam Durkan was on hand to head home the winner in the 87th minute. A cruel blow for the Donegal side but absolute delight for St. Joseph’s! 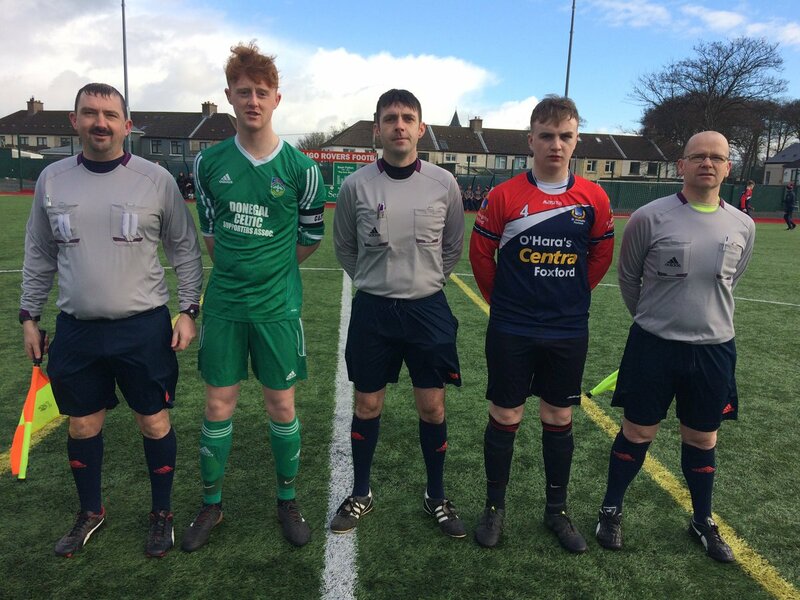 The management duo of Murphy & Burke will now be pipped against either defending Champions Grennan College, Thomastown or newbies Coláiste Mhuire, Buttevant in this season’s showcase on Wednesday, February 6. The other semi-final is scheduled for tomorrow (Thursday) at Cahir Park AFC with a 1pm kick off.